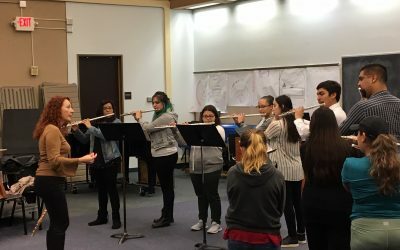 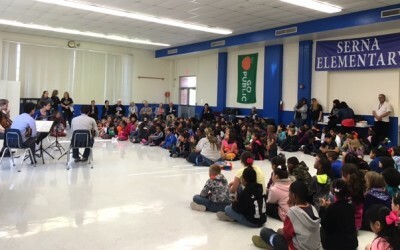 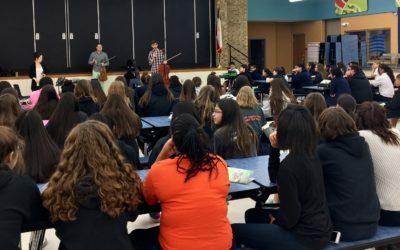 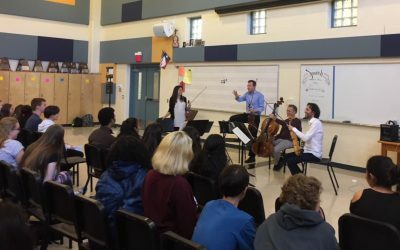 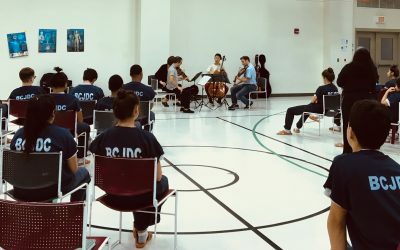 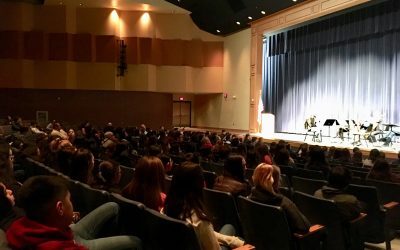 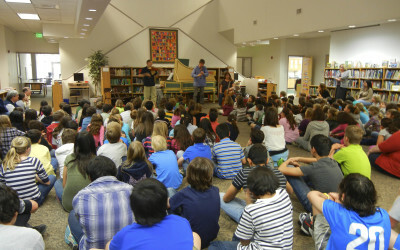 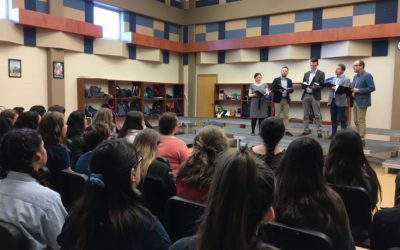 In fulfillment of our mission to provide educational activities promoting the appreciation of chamber music in our community, the San Antonio Chamber Music Society sponsors Outreach Events at area schools and other institutions. 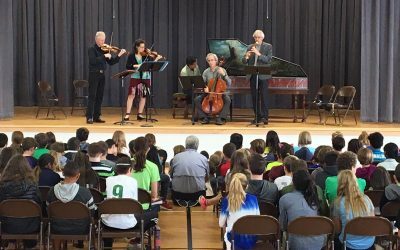 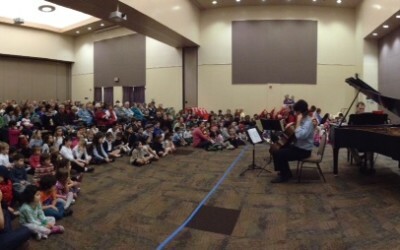 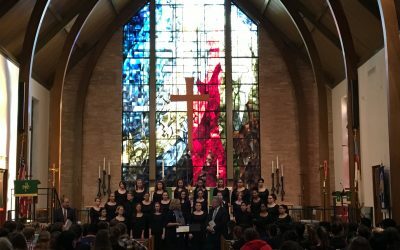 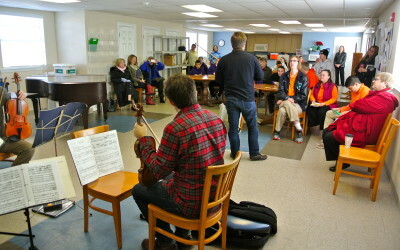 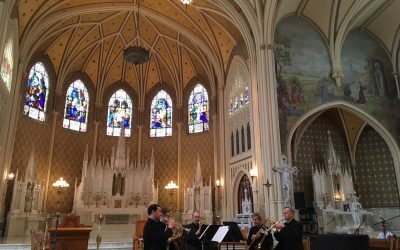 Each year some of our artist ensembles from our Sunday Concert series stay over and present morning and afternoon educational outreach events. 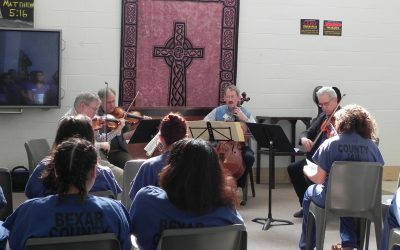 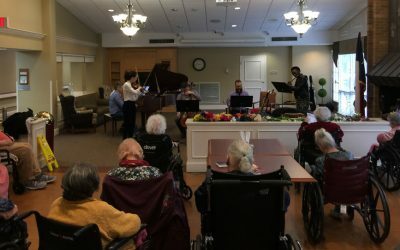 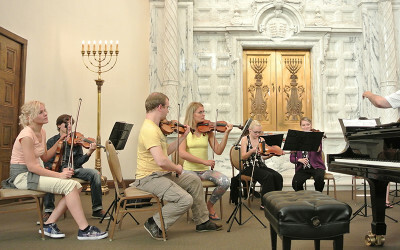 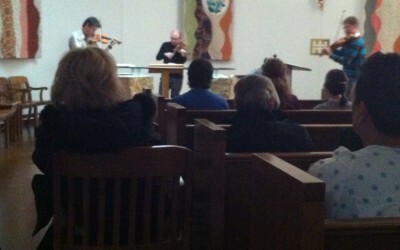 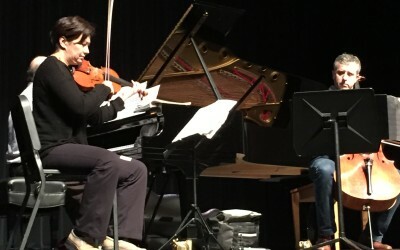 These events are normally about an hour in duration, and include an informal concert, discussion of the music and a questions-and-answers period with the audience. 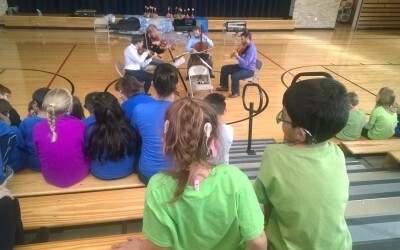 If you are a school principal, a music teacher, a band or orchestra director, or someone connected to an institution interested in participating in this program, please contact Allyson Dawkins, Educational Outreach Committee Chairman, at 210.495.0649, for information. 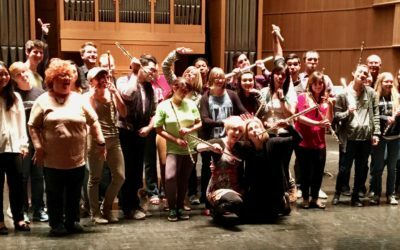 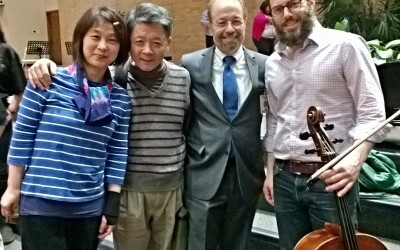 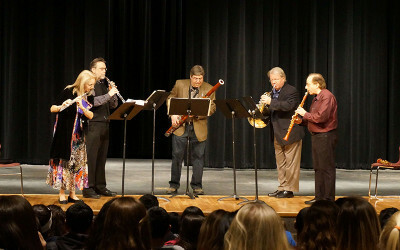 The New York Woodwind Quintet outreach events were held at the Performing Arts Center and at the Beyer Ranch Post-Outreach Barbecue on January 26, 2015. 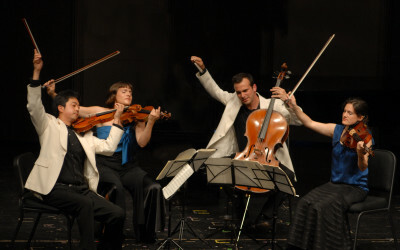 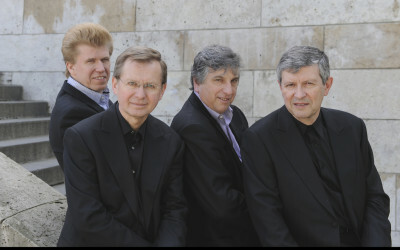 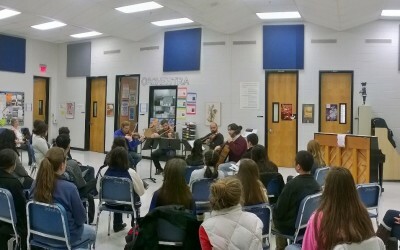 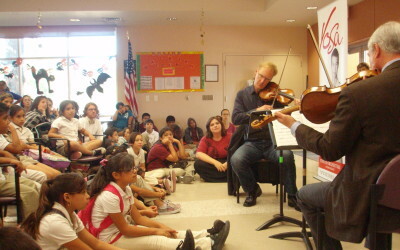 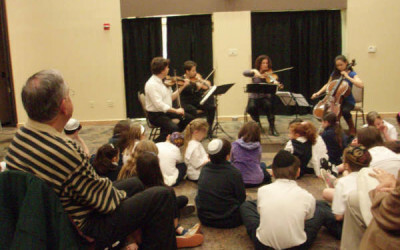 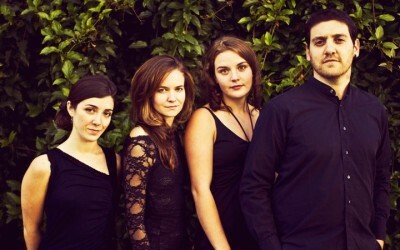 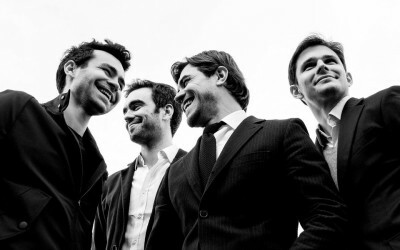 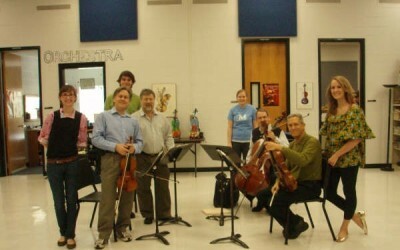 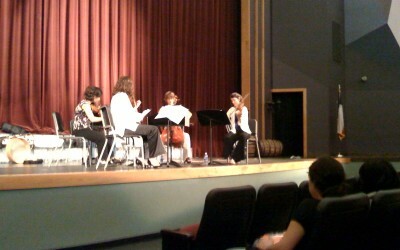 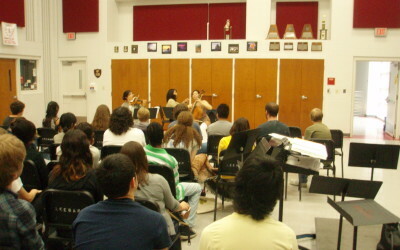 On Monday, February 18, 2008, the Prazak String Quartet presented two educational outreach concerts for the San Antonio Chamber Music Society. 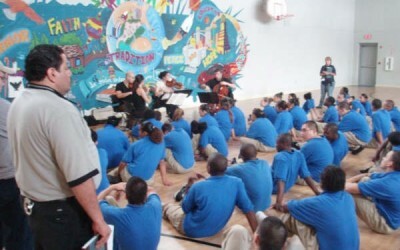 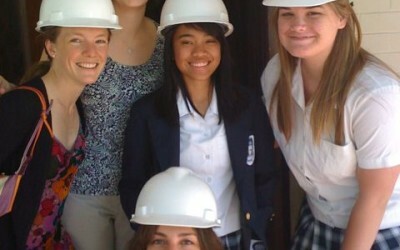 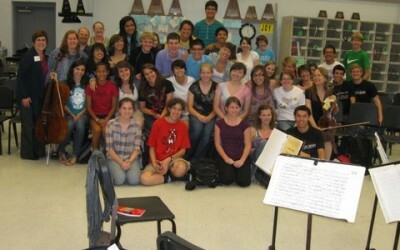 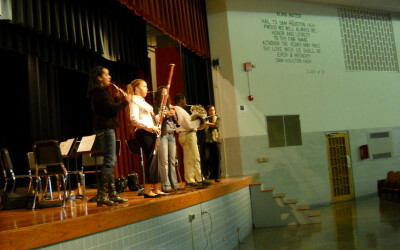 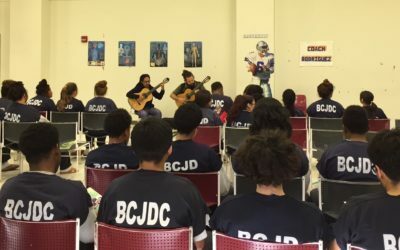 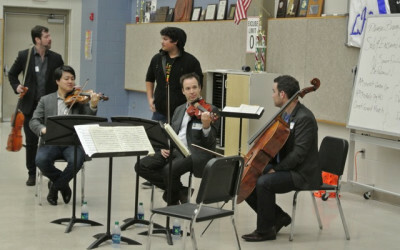 In the morning they played at Brandeis High School and in the afternoon they played at Edgewood High School Academy.